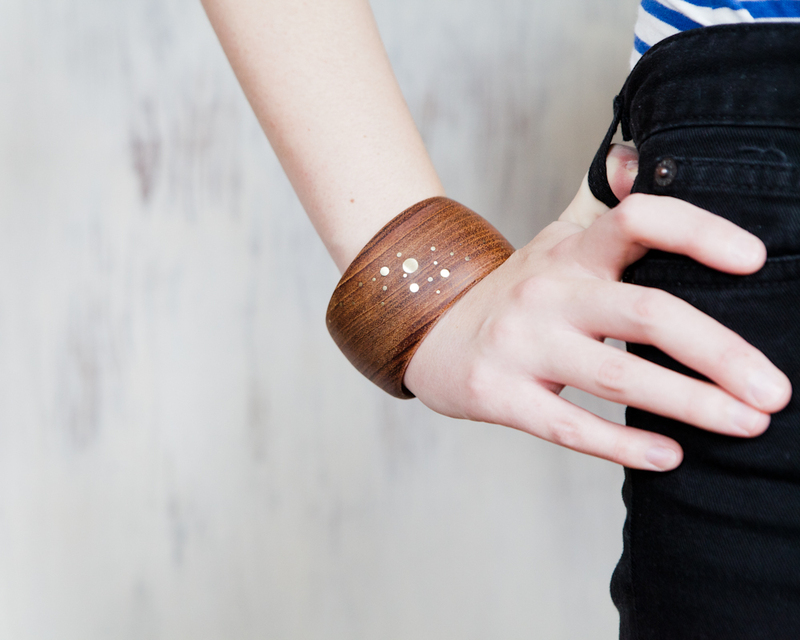 We recently added this beauty to the shop! 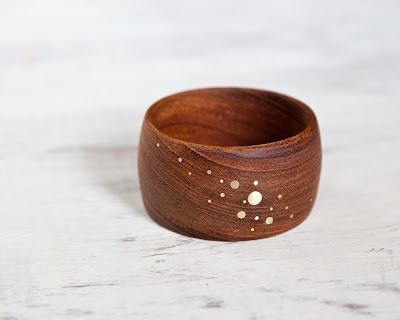 A solid mahogany bangle with brass inlay, perfect for everyday wear! 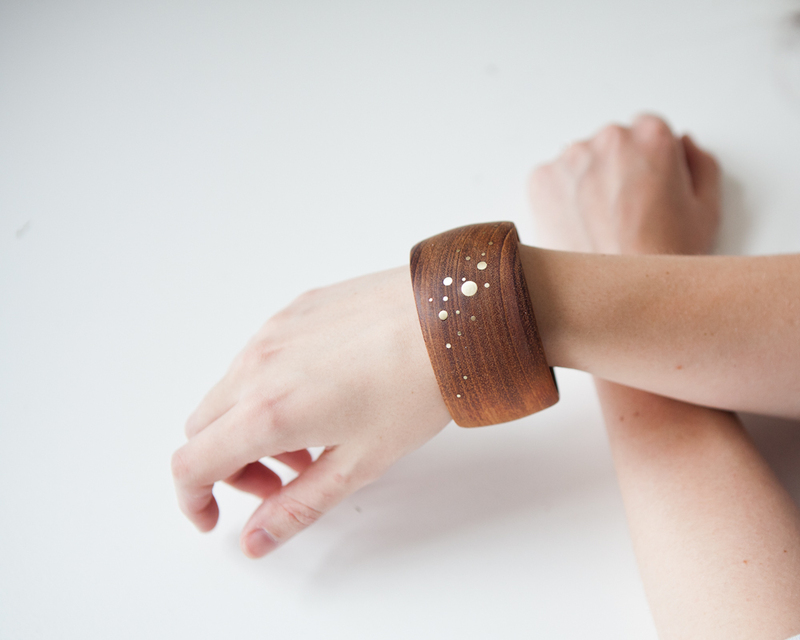 We are also working on some thinner bracelets that will be available in the shop very soon.